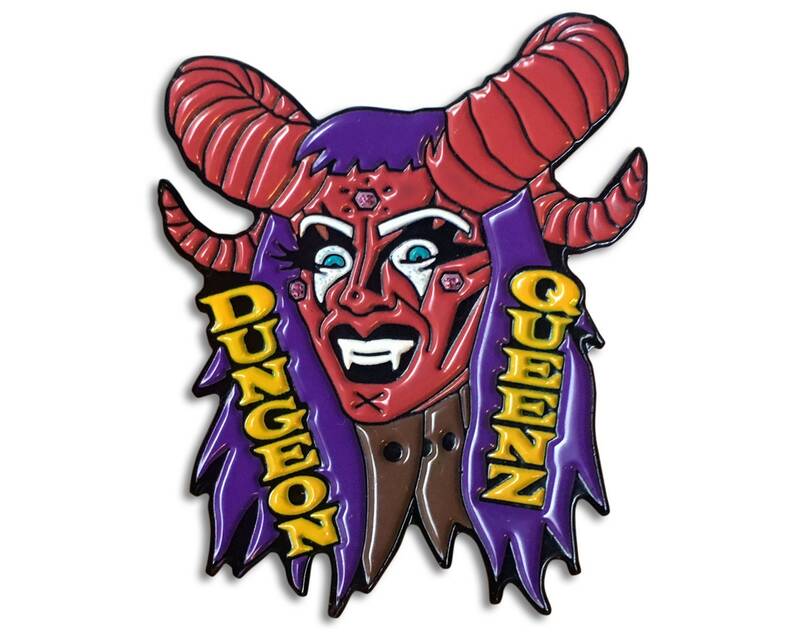 I made this enamel pin from the Tiefling outfit I came up with when I was a cast member of the Twitch.tv live Dungeons and Dragons rollplay show created by Cig Neutron (FaceOff Allstars winner!) called "Dungeon Queenz". It is soft enamel with a couple sparkly colors and it came out real good! I love this pin and the personalized note! Looking forward to getting more items in the future. Now that I have Tiefling, my life is complete. Get your Tiefling, too, minions!